‘The one reason I am not in politics but in art is because I feel that art has a possibility of shaping the souls of people, transforming the opinions of opinion leaders who are then in a trickle-down effect shaping what will be the policies of government.’ So said curator Carolyn Christov-Bakargiev in her opening speech last week at the press conference of ‘SALTWATER: A Theory of Thought Forms’, the 14th Istanbul Biennial. Coupled with Okwui Enwezor’s central exhibition at this year’s Venice Biennale (until 22 November), which was grounded in Marx, activist art and untold political histories, 2015 may yet come to be seen as the apogee of politics in the world of the international art biennial. If Enwezor’s politically driven curatorial strategy was muddled by a cacophony of messages, Christov-Bakargiev has focused her attention on the specific context of the Biennial’s Bosphorus location. Taking up the subject of Armenian and Greek persecution in Turkish history as something of a personal mission – a timely topic given that this year marks the 100th anniversary of the Armenian genocide in Turkey – her biennial includes works, new and old, which obliquely address what happened in the 20th century, as well as the difficulties that remain in a country whose national project is constructed on myths that certainly do not include grandfathers committing genocide. Backed in her endeavour by the Dilijan Art Initiative, which supported both the Biennial participation of Armenian artists as well as works about Armenian and Turkish history by non-Armenian international artists, Christov-Bakargiev has drafted an impressive catalogue of unique responses to the issue, giving her Biennial an feeling of unity and a deep sense of rootedness in place (even if it is near-impossible to navigate as a visitor). While Christov-Bakargiev is not the first to highlight such tensions, nor even the first to do so this year – Sarkis, an Armenian-Turkish artist, exhibited at the Turkish pavilion in Venice this year, and the Golden Lion-winning Armenian pavilion showed work by artists of the Armenian diaspora – the scope of engagement and the fact that the works are being displayed within Turkey are positive developments. As to the work, the Armenian-Lebanese painter Paul Guiragossian (1926–1993), a child of survivors of the Armenian Genocide, has a series of paintings installed in the only large group exhibition of the Biennial in Istanbul Modern. Many of his pictures depict groups of elongated women, expressively painted in thick impasto, like silent mourners standing close for comfort. 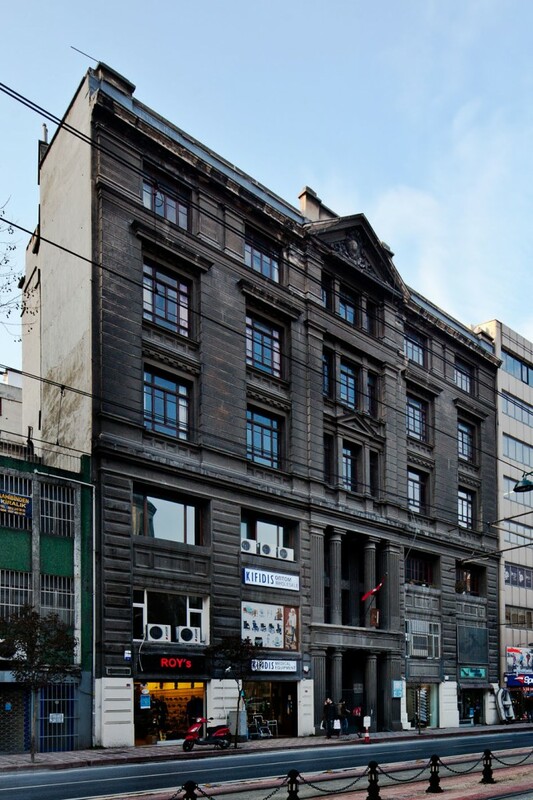 Nearby, the Galata Greek Primary School is a poignant home for a number of affecting works on the history of ethnic minorities in Turkey, given the school’s closure in 2007 due to a lack of Greek students. At the preview, the choir of the Beyoğlu Holy Trinity Armenian Church in Istanbul sang an arrangement of a song from the near-vanished tradition of monophonic Armenian Liturgy as part of artist Haig Aivazian’s new work Wavy Is the Sea of Bolis, O Mother (2015). 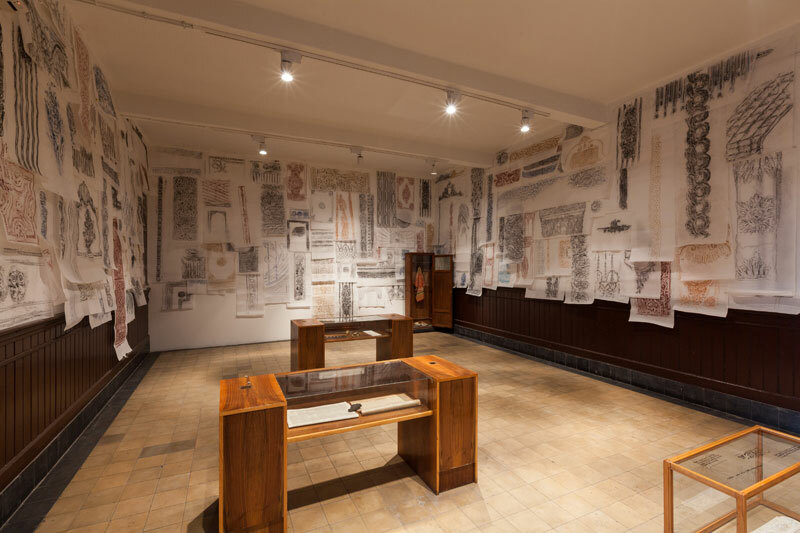 Chicago-based Michael Rakowitz also exhibited a new work, The Flesh is Yours, The Bones Are Ours (2015), which expands upon the themes of a fascinating 2010 exhibition held at Istanbul Modern on the role of Armenian architects in shaping the built environment of 19th-century Istanbul. Using hundreds of plaster casts to recreate part of the workshop of Armenian craftsman Garabet Cezayirliyan, Rakowitz compares the invisible traces of the erased craftsmen to the ornamented buildings that bore silent witness to the trauma of early 20th-century events. Rakowitz’s project also speaks of the difficulty in reconciling the Turkish national project with its treatment of minority ethnic cultures. In his exhibition, a display caption touches briefly on the story of Mimar Sinan (d. 1588), chief royal architect for three Ottoman sultans from and designer of Süleymaniye Mosque, one of Istanbul’s most famous sites. In 1935 the Turkish Historical Society apparently dug up Sinan’s body to refute rumours that he was of Armenian origin and provide conclusive proof to support the argument for Sinan as a Turkish hero and part of the cultural scaffolding for Atatürk’s burgeoning republic. Sinan’s skull was examined and declared triumphantly to be of the ‘brachycephalic Turkish race’. Shortly thereafter the skull went missing and, perhaps unsurprisingly, it has never been seen again. Great to see that you featured this Crystal.